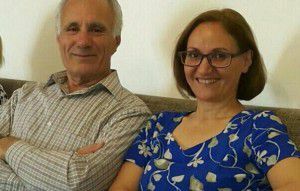 The Ministry of Intelligence in Sanandaj has detained a number of persons who have contact with a Bahai family, and has pressured them to submit private complaints against the family, which would accuse them of teaching the Bahai Faith or leading people astray. According to the HRANA report, this took place in August and September this year. On September 8 the 66-year-old father of the family, Dhabihullah Ra’ufi ( ذبیح الله رئوفی ), was arrested by agents from the Ministry of Intelligence, along with a number of non-Bahais. Four agents raided his home and seized CD’s, books, pictures and other items relating to the Bahai Faith. He later told a HRANA reporter that his own interrogation was “good,” but after his release some of his non-Bahai contacts were detained and lodged personal complaints against him for no apparent reason. One of these contacts, Mr. Muhammad Salahaddin Rashidiyan (محمدصلاح الدین رشیدیان) has said that while he was detained at the Ministry of Intelligence office he was threatened with charges of apostasy, which carries the death sentence, but promised freedom if he lodged a complaint against the Bahais. He said that he knew of at least three others who were forced to lodge complaints against the Ra’ufi family in the same way. Their names are given as Entezar Rahimi (انتظار رحیمی), Mrs. Zhila Negahdar (ژیلا نگهدار) and Shahu Mohammadi (شاهو محمدی). Mr. Ra’ufi said that they did not know exactly what had happened, but they had good relations with these people until they were arrested and released. Later, two or three of them came to apologise, saying they were forced to lodge a complaint. One even brought a signed letter saying he had been forced to complain. One of the complainants came to the Ra’ufi home in the middle of the night, shouting that they had made his wife and children happy [ شما باعث شدی زن و بچه مرا بگیرند — a better translation would be welcome ~Sen]. Mr. Ra’ufi was arrested in 2009, and sentenced to 6 months in prison on charges of propaganda against the regime, followed by 6 months in exile (other reports say he was sentenced to 6 month in prison in the town of Tuyserkan, in Hamadan). In June, 2011, the Ministry of Intelligence in Sanandaj conducted mass interrogations of the Bahais there, seeking information on how Sanandaj’s Bahai community is managed. One of those questioned was Dhabihullah Ra’ufi. Parvaneh Rahmani-Ra’ufi (پروانه رحمانی رئوفی), who was arrested on December 19, 2015, is the wife of Mr. Ra’ufi. It appears that she is still being detained.